Nothing in the marketer’s world – or the salesperson’s – is more precious than time. That’s why prioritizing leads is so important: you want to make sure you spend your time on the leads that are most likely to buy. 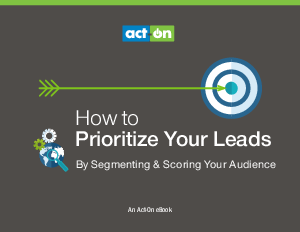 This eBook covers the two tactics that can help you the most with prioritizing leads: segmentation and lead scoring.